In this exclusive interview, Don Jernigan, the man at the helm of the largest Protestant not-for-profit healthcare system in the United States, talks about his soon-to-be-published book, why Adventist Health System keeps expanding, the benefits of the Affordable Care Act, and the goal of showing “uncommon compassion” for every patient. You have served as president and chief executive officer of Adventist Health System for almost exactly 10 years. What has been the best thing about your job so far? During the time of my tenure as CEO, we have had some tremendous blessings, but without contradiction, the thing that has been most satisfying during this period is the growth, maturity and performance of our next generation of leaders. Nothing is more important for someone in leadership than the development of their people, especially the next generation of leadership. In this regard, we are truly in a blessed position. I believe this next group of leaders will take the system far beyond where it is at this point. I really don’t think about anything in my work as being hard. I would say that the most challenging part of the work is to ensure that the cultural changes that we are embedding in our system take firm root and there is no rebounding to previous expectations or ways of thinking. We are emphasizing that every part of our system, wherever located, must perform at a high level. This is crucial because we are on the verge of making a system-wide brand promise, and no one can be allowed to hurt the brand by not hitting high performance. This would be the closest thing to something I would consider hard. What takes up the largest percentage of your time in your job? In terms of my time commitment, the area that would take up the most time would be standing meetings with people who are my direct reports. Closely following this would be standing corporate meetings such as our quarterly board meetings and all the committees that meet before that board meeting. There are also management committees that are a critical part of how we get our work done. What do you believe sets Adventist Health System’s 45 hospitals apart from other hospitals in the US? What do you do, in your job, to set the vision for the hospitals and your 79,000 employees? The thing that absolutely must set our hospitals apart from other community hospitals flows out of our mission “To Extend the Healing Ministry of Christ.” Close to that mission statement would be our unique understanding of the makeup of humankind which leads us to promote and propose our CREATION Health philosophy as a means of helping people live a healthier life. However, at the same time we must meet their medical needs, whatever they may be. Our hospitals must meet the same expectations as many fine community hospitals concerning quality, safety, and patient experience. But when it comes to that added dimension, I can say that part of it flows from programs such as CREATION Health. The acid test is how we treat each other and how we treat those who come to be served. We have talked about, for example, whether our hospitals exhibit through each member of staff “uncommon compassion,” or empathy and concern that goes beyond what patients would typically find in the world in general. Every individual employee must internalize what it means “To Extend the Healing Ministry of Christ” and our new mission peer review integration program is built around the importance of each employee understanding the question of why they do their work and whether that work meets that standard. So, we must make sure that housekeepers, for example, understand the question of why their work contributes to the healing ministry of Christ and how important their work is in terms of patient experience — as well as controlling dangerous infections. This is truly a tall task and we must rely upon God’s blessing and presence to get it done. Emphasizing this mission and doing everything we can to create the environment in which this type of behavior can flow is a never-ending task and one that will truly never be finished but it is what we strive for do every day. You have written a book called The Hidden Power of Relentless Stewardship: Five Keys to Developing a World-Class Organization, to be published this July. Can you give us a preview? What are the five secrets? What made you want to write the book? Those who worked with me to help produce the book would probably dispute the idea that I wanted to write this book, but that they were determined that I needed to do it and it was going to get done! Now that we are through the process, I am very glad that it has been done because these principles do represent my working philosophy during my career. And I am very thankful that so many of the stories that I otherwise would not have remembered are now documented. The reason that stewardship was such a critical principle for me is it kept me from feeling that my work was schizophrenic; for example, sometimes I was talking about our mission and the high moral ground and another time I was just talking about the realities of producing a successful business from a financial perspective. Stewardship integrated everything; leaders have influence and as good stewards they must use that influence to impact every aspect of an organization’s life, from mission to how leaders use and preserve resources under their control. The book and the stories in the book are intended to elucidate how stewardship should influence an organization’s statement of its mission or reason for existence; the values by which the organization will live that are recognized through behaviors of every staff member; the vision statement that assures you are pursuing the big ideas that will position the organization to not just cope with the business environment, but excel and prosper. Stewardship extends to community responsibility, and the vision statement that we operate under is explicit about that community responsibility. Stewardship, understood properly, allows executives to make decisions (and especially those decisions that are controversial with competing stakeholders) based upon the mission and values of the organization — removing executives from making a decision about themselves and their own personal needs or influence. This is liberating for leaders because people, over time, will recognize a consistency in decision-making and will come to understand that it is driven by mission and values and not personal agendas or ego. Finally the book challenges an executive to be a steward of his or her own personal influence and behavior, including how that person treats key associates, employees at large and the community. Adventist hospitals seem to be announcing many significant expansion plans. Are these boom years for Adventist health? To what can you attribute the growth? Is this expansion just what it takes to stay competitive in today's healthcare market? We have experienced a decade of significant growth in Adventist Health System and there are several reasons for that growth. We experienced a growth, first of all, that goes back 15 years when both the Mid-America Union hospitals and the Lake Union hospitals decided to be a part of Adventist Health System. That brought us a group of hospitals in the Chicago area, Shawnee Mission Medical Center in Kansas City, and five hospitals in the Denver market. Also, we experienced very significant growth in Florida due to hospitals and systems basically asking us to take them over. We didn’t really purchase them, but assumed their liabilities and took all their assets and made some commitments about upgrading their facilities. This process added approximately 10 hospitals to our Florida Division. In both of the above cases, it was the future stresses and challenges of the changing healthcare system in the United States that caused hospitals to question whether they could make it on their own because of the capital investments that were necessary to prepare for payment based upon quality outcomes. We have also had very substantial growth making additions to existing facilities; this has been driven primarily by demographic forces. We are blessed by being in some markets that are growing extremely rapidly. When population is growing significantly you have to meet the need, and that scale helps you be more competitive by lowering your overhead cost. In summary, the growth is due to both forces: the healthcare marketplace that caused others to seek us out, and expansion to meet the needs of rapid population growth. As you say, healthcare in the US has changed significantly in recent decades. What do you see as trends in the near future? Both in the near term and in the longer term, the changes in healthcare are forcing hospitals to take on financial risk for far more than just what happens between their four walls and during hospital stays. In Florida we are rolling out, in a very measured way, what is called a Medicare Advantage Program, in which we take full capitation risk for a population of patients for a year’s time. In that model, your concern for patients broadens to when they are not in the hospital, and if they require a hospital stay you have to be very concerned with how they recover after they are discharged. Even if you do not take full capitation, the reimbursement that Medicare and other payers are moving toward puts you at financial risk for the post-discharge course of care for at least 30 days after the date of discharge. This is what has come to be known as value-based purchasing or at-risk value-based care. In either case, those who pay for healthcare have basically decided to make the 5,000 United States hospitals responsible in a more global way for the health of their communities, which also brings some very rich opportunities for mission. Is the Affordable Care Act good for the country’s citizens? Is it good for hospitals? I believe it has increased your revenues? What is your vision is for a more equitable, affordable American health system? We supported the Affordable Care Act when it was being debated and remained supportive along the way even though there clearly are things about the Act that could be improved. We supported it because we thought it was good for our communities and for patients. The burden that we all had for caring for people who had no insurance was growing to the point where it was going to crush providers. It also caused patients to seek care at the worst time and in the worst setting. If you really think through the financing of healthcare (and your goal is to make sure that most people are covered), there really are only two ways to go about it. You either do something like the Affordable Care Act which keeps the private system in place and uses subsidies to make the market more affordable, or you go to a single-payer system [in which the state, rather than private insurers, pays for all healthcare costs]. I personally hope that the Affordable Care Act with future modification will work well because it seems to fit the values of the American public. I understand you were the initiator of the Adventist Health Policy Association, which works to inform members of congress as they create healthcare policies. What do you hope the Association can accomplish? It is true that we felt the urge to reach out to the other healthcare organizations in North America and form something like the Adventist Health Policy Association. We were all involved to some extent in advocating for good healthcare programs, working through both state legislators and the federal government. There are real challenges under our 501(c)3 status about running afoul of federal regulations. The legal structure under the Health Policy Association allows us to advocate for good policies and we don’t have to worry about doing something that would be considered inappropriate. Our hope is that, over time, the contributions of the Adventist Church through healthcare can be better known, and that our voice will be appreciated because we speak with integrity and advocate for policies that are good for patients and communities — not based on our self-interest. What makes your hospitals “Adventist”? How is the Adventist mission integrated into Adventist hospitals? Going back for almost 25 years, we have been very intentional that our hospitals are fulfilling our mission of “Extending the Healing Ministry of Christ” and doing it in such a way that what we do reflects the most positive vision of the Adventist Church and its passion for health. We have a Mission Peer Review process that we have just recently upgraded into a Mission Integration Peer Review, whereby our hospitals are visited by a mission peer review team every other year. That team goes through a very detailed “inspection,” examining everything each hospital is doing to fulfill mission. Every hospital — and specifically every CEO — must submit a mission plan for each coming year, and a portion of the accountabilities for the executive are based upon fulfilling that mission. We also have held an annual Mission Conference for about 25 years, where we bring in people from around our system and focus on a particular topic of mission fulfillment. When it comes to the question of “What makes a hospital ‘Adventist’?” the obvious things we focus on are: 1) operating in a way consistent with the church’s desires around food, 2) the non-use of alcohol at all of our sponsored events, and 3) Sabbath policies that are appropriate. This we do on a very consistent basis, but what is really important is how the people who come for care are treated, and whether somewhere in the process, if they are receptive, they are exposed to our CREATION Health principles to help them lead a more productive life. When a person comes into one of our facilities they must encounter “uncommon compassion” and until that happens, we are not fulfilling the mission of being an Adventist hospital. Of course, this standard is so high that you will never be done working on trying to fulfill it. It is the thing that calls us forward. What is your vision for the strategic relationship between the Adventist Church and its health systems? How do your plans for Adventist healthcare reflect the plans of the Adventist church? One of my personal dreams that I have shared with our Board and our management team is that our hospitals would be known in the United States as well as someone would know the Mayo Clinic. We are going through a process now of rebranding our system and identifying every part of our system as clearly Adventist. We are putting our identity front and center for all the world to see. It would be my hope that if we do this correctly the broader public will come to know the Adventist church though what we do, and know us in a positive sense as people who are passionately concerned about the communities we serve and the health and welfare of the people in those communities. When the denomination makes plans for "comprehensive health ministries," those plans typically do not include the health systems. Is that a problem? Could the church and healthcare systems work together more effectively if they shared a compelling vision for the health of all citizens? It is true that sometimes the coordination between what we do under our CREATION Health program and the health and ministry efforts of different segments of the church are not as coordinated as would be ideal. However, there are also wonderful examples of coordination. Those tend to be in the territories we serve in the four unions that govern us. Yes, sometimes above the union level and outside our territory there isn’t good coordination, but I have found in discussion with church officials that there is a desire to be better coordinated. So, I have no reason to be negative about the future possibilities. There has been significant discussion about the salaries of Adventist healthcare executives. Are salaries too high? Are they really necessary to recruit and retain top talent? There is no question that from time to time there is discussion about compensation in Adventist healt care. We recognize that even if we had compensation levels well below what our most senior people are currently paid, that compensation would be deemed out of line by many. Back in the mid-1990s when we asked the North American Division to sign off on our current philosophy, we recognized that we could not completely ignore the marketplace. However, we decided we wanted to be conservative and based on data from our consultants and everything we see around us, we believe we have maintained a significant conservative posture in compensation relative to other systems like ours. We target the median for our executives, or in the case of the CEO, the 40th percentile. When it comes to our non-executive staff, we may pay well above the median in order to attract the kind of talent we need. This would be true for clinical talent, for example. So the only cap restriction is at the executive level. It is true that we have had a good track record of retaining executives but we have occasionally lost some really talented people who did go on to take positions in other systems that compensated at a significantly higher level than us. We believe that we can maintain the current philosophy and be successful. I have also learned that compensation alone is not sufficient to judge commitment and sacrifice. I believe Florida Hospital is in the eye of a storm over its tax-exempt status. Can you explain why a system that is so successful financially should get tens of millions of dollars in tax breaks? Not just Florida Hospital — there has been active discussion during my 35 years in healthcare about whether a given hospital should keep its tax-exempt status. When people focus on this, they look only at the question of what you do for the community that you are not compensated for versus the value of the tax exemption itself. On that basis, we clearly earn our tax-exempt status at this time because our community benefit dollars (things we do that we are not paid for), far exceed the value of the tax exemption. However, the important thing about this whole question is: Who do you want the system to be accountable to? We have resisted efforts to ever go the for-profit or investor-owned route because we do not want to be split in our allegiance to shareholders or the communities we serve. Whatever happens with this issue, we believe it is critical that a system remain in place where hospitals can have their loyalty focused on the needs of the community and not the insatiable desires of shareholders. Finally, people are frequently misinformed about the issue of profits or surplus. A system that doesn’t run an appropriate surplus — and even though we’ve been successful, ours has always been less than 10% — then you will not be able to invest for population growth, bringing new technologies that will greatly benefit the community you serve, or have the resources to develop new lines of clinical care. Without those surpluses, you simply will not be stable or you will not be able to really meet the needs of communities. It is very important that people become better educated on this topic. What goals have you accomplished in your position as president of Adventist Health System? What goals do you still have? During my entire time as CEO, we have focused on a succession of Vision Statements which have culminated in the one we are operating under now: the 2020 Vision. We have made good progress in implementing this vision, and have already achieved some items even though we have not yet reached 2020. Other goals we feel confident of reaching by 2020. In the case of a few Vision 2020 goals, we have instituted some major projects this year as a way to overcome any plateauing and get us where we need to be. Accomplishing that vision and creating the best possible ambassadors for Adventist healthcare are the sum total of my dreams. I have no goals beyond achieving that vision and making Adventist Health System the kind of mission-driven system that members of the church can be proud of. 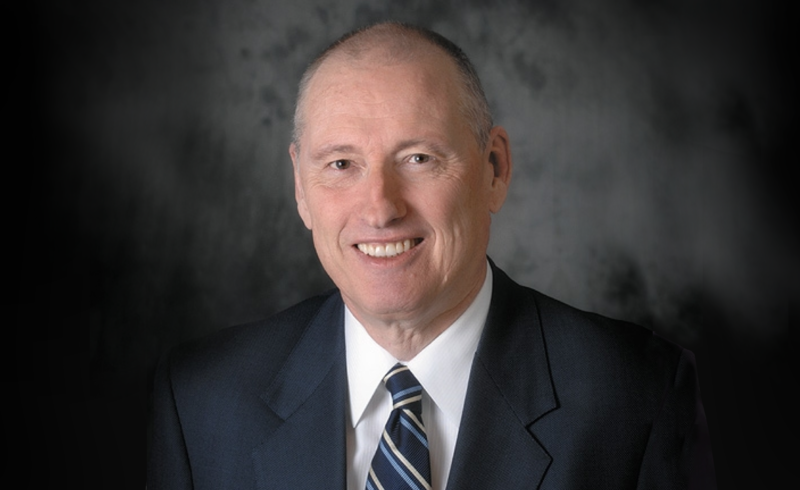 Don Jernigan is President and Chief Executive Officer of Adventist Health System – the largest Protestant not-for-profit healthcare system in the United States. With a net revenue of $7.1 billion, Adventist Health System’s 45 hospitals in 10 states, 79,000 employees and nearly 9,000 affiliated physicians serve more than four million patients each year. The system’s flagship hospital – Florida Hospital in Orlando – is the state’s largest with more than 2,400 beds. Florida Hospital also serves as the single largest Medicare provider in the country. Jernigan earned a Doctor of Philosophy degree in Physical Chemistry in 1972 from Baylor University and a Bachelor of Science degree in chemistry from the University of Texas - Arlington in 1967 Dr. Jernigan served in higher education in the positions of professor, chemistry department chairman, vice president for academic affairs and executive vice president. Jernigan also served on active duty as an officer in the United States Navy.